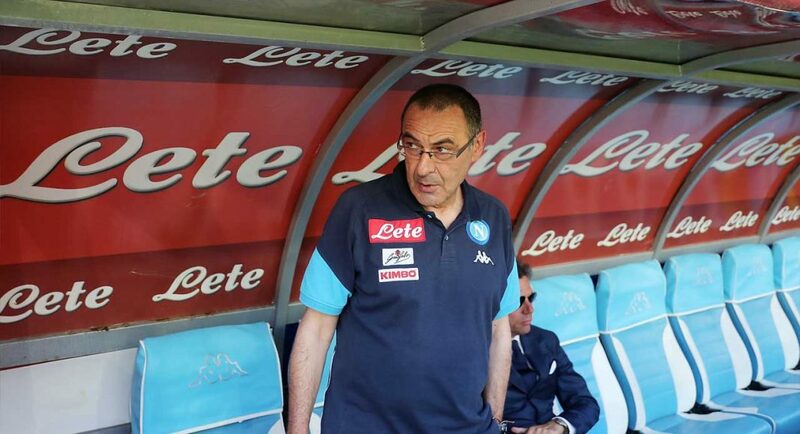 Maurizio Sarri draws up three-man shortlist of transfer targets. Juventus duo and Inter Milan midfielder included on the list. Maurizio Sarri has reportedly drawn-up a three-man transfer wish-list of players he’d like to take to Chelsea from Italy. Sarri knows the football in the country better than most, having worked for eight different clubs in his home nation. Antonio Conte brought over Antonio Rudiger, Davide Zappacosta and Emerson Palmieri from Serie A. Only Rudiger has, thus far, made any sort of real impact at the Bridge. With Conte on the verge of being sacked as Chelsea manager, Sarri is already preparing his transfer plans. According to Tuttosport, Sarri wants to sign Juventus duo Gonzalo Higuain and Daniele Rugani, as well as Inter Milan midfielder Matías Vecino. It has been claimed that Higuain would cost in the region of £57M. The Mirror previously claimed that Rugani would cost £26M, while Tuttosport’s report notes that Vecino’s asking price is set at around £26.2M. That’s a combined £109M! Sarri is not messing around, is he?